Score: Morning-song for the Christ child : for unaccompanied mixed chorus / Peter Sculthorpe. 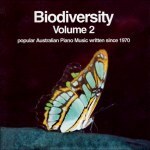 CD: Until I saw : contemporary Australian choral music / St Peters Chorale. 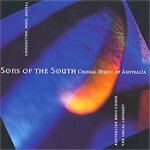 CD: Sons of the south : choral music of Australia / conductor Noel Ancell, Australian Boys Choir, The Vocal Consort.